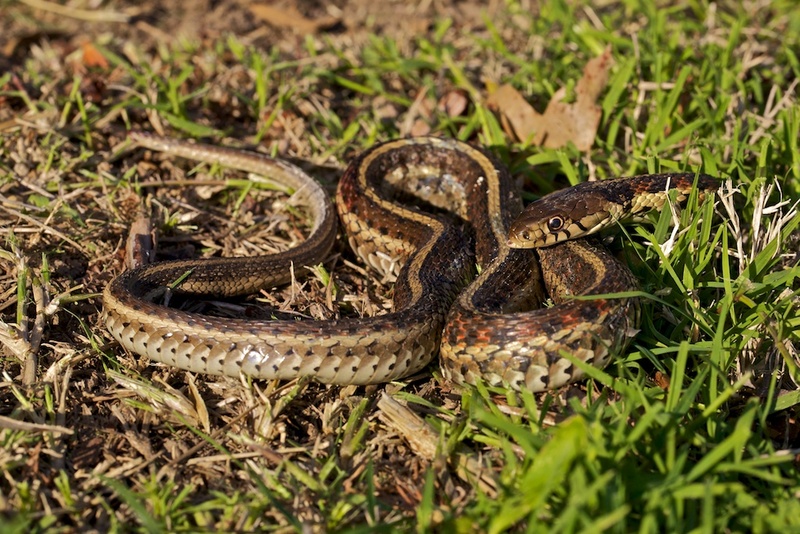 I almost ran over two Garter snakes today with the lawn mower. Fresh from their winter slumber, they are quite sluggish and don’t move out of harm’s way very quickly. Okay, this one was clipped by the weed-eater and unfortunately did not survive the encounter. I needed a photo for the day though, so I posed him for the shot.